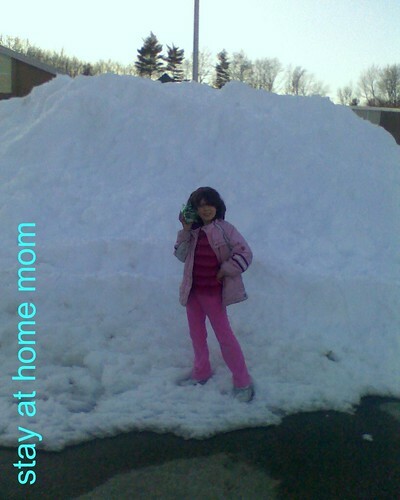 STAY AT HOME MOM: WW 46 "Are You Sure Spring is Coming?" It sure doesn't look like Spring there! it is! it is! hang tight! Wow that is a lot of snow. Hope you thaw out soon. Any minute now. Though, where I live, this is the season for more snow. But I love it! Looks like a good sledding hill! Wow, I'd love to see that kind of snow here (TN)! Yeah, those big mountains of plowed up snow take forever to melt. 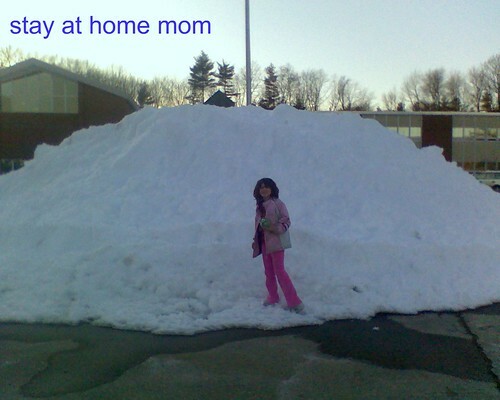 Thankfully ours are gone, but it sure doesn't feel like Spring yet. Well it is not warm in New England. But it is nice to see the snow piles gone. Nice Picture. Wow, that is a lot of snow, brrr. WOW. That is a lot of snow. It is in the 70s here right now with the sun shining. Yes it's coming. of course it's coming. Our flowers are starting to come up so spring is on the way, next week in fact! Yippee!!! Wow!!! I am loving the poses!